A 57-year-old software engineer is the latest WSOP Circuit ring winner. 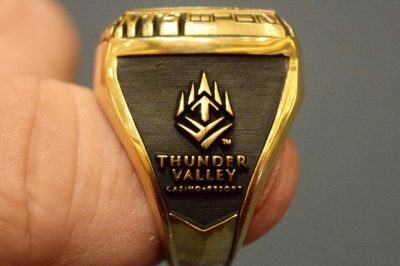 Thomas Kornechuk from Auburn, WA, took down the 2018/19 WSOP Circuit Thunder Valley $1,700 Main Event, winning his first major title so far, the gold ring and a $193,439 portion of the overall prize pool. The player is also guaranteed a seat at the 2018 Global Casino Championship. As CasinoGamesPro reported yesterday, the $1,700 Main Event at the Thunder Valley stop of the World Series of Poker Circuit saw a total of 608 entries enter the competition of the title, with them accounting for an overall prizepool estimated to $921,920. However, only 17 of them returned at the beginning of Day 3, with Jeremy Joseph being the chip leader with a 2,450,000 stack at the time, and the eventual winner Kornechuk being roughly in the middle of the pack. 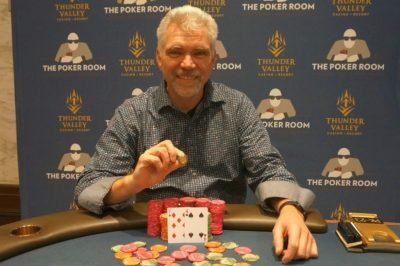 The victory came as a breakthrough for the 57-year-old man, who started studying the game of poker only recently and worked hard to finally have his first Circuit ring. Kornechuk has taken part in a number of events on several tours and managed to win his first two cash prizes at the WSOP in 2018. The $193,439 prize he received for winning the Thunder Valley’s stop Main Event is by far the largest live cash generated by Kornechuk since he has started playing poker. His live winnings are currently totaling more than $260,000. Kornechuk started his progress early in the final day of the Main Event, with still 16 players remaining. He managed to become one of the players with the dominant stacks by the time the later stages of the final day were reached. The player had eliminated four of his opponents at the final table and became one of the two last standing players in the competition. At the time when the heads-up play started, Thomas Kornechuk had a dominating stack of 10,690,000 in chips, while Brett Murray was left with 7,550,000 in chips. Kornechuk managed to keep his lead until the break at Level 33. Even though Murray succeeded to take the lead by boosting his chip stack to 9,790,000, it took Kornechuk a little more than an hour to get the lead back, boosting his stack to 10,540. Kornechuk explained that his game plan was to remain conservative as much as possible and become more aggressive when he saw a chance to do so. Now, he feels more confident in the game and has made plans to attend most of the WSOP events in Las Vegas in the summer. With Thomas Kornechuk emerging victorious from the 2018/19 WSOP Circuit Thunder Valley $1,700 Main Event, taking home the lion’s share of $193,439, Brett Murray was left at the runner-up position. He was granted a prizepool portion of $119,644. The Day 3 chip leader, Jeremy Joseph, remained third, winning a cash prize worth $87,488. The fourth place in the ranking was taken by Yifu He, followed by Tony Bracy. Chris Tham got sixth, while Ryan Jaconetti was eliminated in the seventh place. Paul Richardson and Paul Camby occupied the last two positions at the final table ranking, becoming eighth and ninth, respectively. Benjamin Barry‘s career is worth observing, since he is not only a competent writer, but he has also practical experience at poker tables.